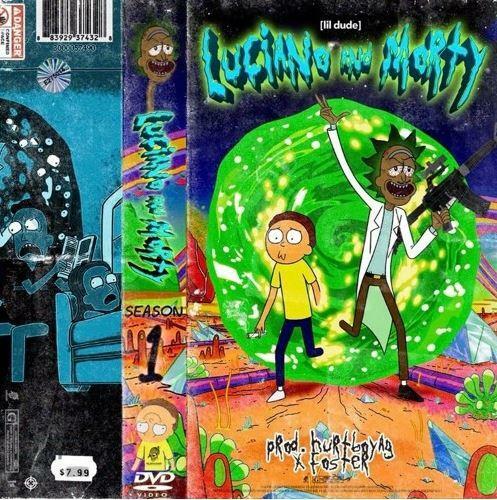 Home>New Songs>Lil Dude Songs> Lil Dude Flips "Rick & Morty" Theme Song For "Luciano & Morty"
"Rick and Morty" built a strong and dedicated following over the three seasons they've been airing. The show's also had a lot of praise from the hip hop community. Logic appeared on the television show in the past and Kanye West previously expressed how much he enjoys the show. However, DMV rapper Lil Dude took his appreciation for the show to a new level. The rapper took the theme song of the show and flipped it for his new song "Luciano & Morty." Lil Dude delivers his new track "Luciano & Morty." The song samples the "Rick & Morty" theme song and turns it into a banger. Hurtboy AG and Foster hold down the song's production. Lil Dude comes through and snaps on his verses. The rapper's new track is a certified heater and proves that Lil Dude is someone to keep an eye out for. SONGS Lil Dude Flips "Rick & Morty" Theme Song For "Luciano & Morty"